With the nostalgia of cleaning out old products (see my immediately prior posts about clearance Chesterton quote shirts) I thought it might be a good idea to revisit one of the most successful, most trying, and ultimately most distracting products I ever produced: Uncle Chestnut’s Table Gype. I still get emails asking about the game, and it is in fact sold out everywhere. I have not even seen used copies surface, and we have made and produced around 1,000 copies of the game. That is all there is; to date none of these references seem to have been located. My brother Chris and I, in much more recent history, have been playing at making games since we were kids. As we got older, we discovered the hobby board game market. Euros, designer games, whatever you call them, we are into board games. Not the mass-produced junk like Monopoly and Life, but the kind of games that start with Settlers of Catan and wind you through titles like Thunderstone, Alien Frontiers, and Empire Builder. You will find my posts and BoardGameGeek.com. So on a whim, and frustrated by modern and vague theories of “gype,” in a flash of inspiration we came up with the concept of Chinese Checkers, a chess board, and dice as pieces as a possible modern take on the game that was never invented. Simply get from one side of the board to the other, but with constantly changing rules of movement that are as random as the roll of a die. Since it was not exactly what Chesterton had made, since he really did not make the game at all, we called it Uncle Chestnut’s Table Gype. Uncle Chestnut was a nickname some local children had for GKC, and I had recently written a book about Chesterton for children using that nickname. Custom dice are expensive to produce, but our first 50 sets were done with industrial strength stickers and blank dice. Eventually we realized we could woodburn with a branding iron the images on the faces of a wooden cube, and use Rit dye as a safe – but unpredictable and limited – coloring agent. With the heat press I used to make shirts, we produced the board and the bag in house. This is where the joke catches up to us. We submitted the game to the Mensa Mind Games competition in 2011. At this point we were using a hand iron, and if I recall it took us about 2 hours to make less than a dozen games. Rather, it took us that long just to stamp the dice. According to my shipping records, the games arrived on the very last day submissions were being accepted, and in a few weeks – Palm Sunday, 2011 – we got word from witnesses that Table Gype was one of the top 5 games of the year, and a recipient of the Mensa Select award. Now, we suddenly had a product. There was a flurry of activity that I involved speaking with the games buyer for Barnes & Noble as well as a lot of other retailers, and the glaring problem that producing these games as we were was just not feasible. Positive reviews from Tom Vasel and others fueled interest in our little game. Table Gype was nominated for a Golden Geek award, and made Games Magazine’s top 100 games for 2011. One of the most common questions we got was about pronunciation. I assume Chesterton and Wells used the Scottish pronunciation, which sound like “jip” – the root of that word, as it turns out, since gype means to joke or fool. To avoid spelling confusion, we pronounced the game with a hard “g” and rhymed it with hype. Our solution to producing the game was to get a drill-press mounted branding iron, which you can see in use in our Kickstarter video. The rig worked well, and while time-consuming it was less expensive than plastic dice, more environmentally friendly, and a whole lot faster than the old method. After 9 months of frenzied selling, a poorly planned but very rewarding trip to Gen Con Indy (we did not sell much, but made some really good friendships), sales bottomed out in early 2012. Marketing a single game is not a winning proposition, and the entire time I had been making games and promoting Gype, nothing was getting written or done with the rest of Eternal Revolution. There was really no crossover to promoting books inspired by Chesterton, or Chesterton apparel and a board game. Hobby gaming is its own niche world. The last of the games sold in 2013, and while I have had some interest from publishers, there are no plans in the immediate future to produce Table Gype again. It has been a hard (and fun) lesson in chasing exciting projects that are outside of your calling. Chris and I did consider getting into full-blown game publishing, but it was clear it was not our path in life at this time. Shortly after the roller coaster ride of Gype, Chris began studies at seminary. 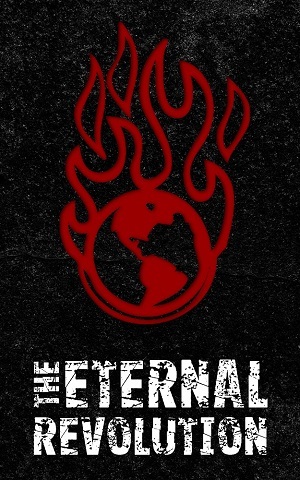 I’m getting back to the core mission that I started Eternal Revolution to do. There are a lot of good things we can do with our lives, but not all of them are the things God wants us to do with them. Table Gype must have had its purpose, even if only to teach that lesson. It was an adventure, but not a financially successful one. 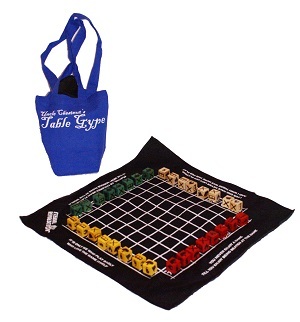 If you are interested in Table Gype, any news will be announced on the BoardGameGeek.com entry for the game. The rules are posted there as well. You can also play the game for free online at BoardGameArena.com.